The beautiful array of colors seen in the plant world is created by the range of pigments they produce. Indeed, a key function of some of the pigments is to make the plant colorful, and so more attractive to the creatures responsible for facilitating cross pollination and seed dispersal. The primary function, however is to capture the energy of the sun and convert it into a food source by photosynthesis. The different colors of pigments are achieved through selective color absorption, which is determined by the pigment structure. A given pigment will absorb light of specific wavelengths and the rest of the light is reflected back, producing the characteristic color that can be seen. Traditionally, plant pigments were used by man in the production of dyes and some are still used as food colorings. However, the discovery that they also confer a range of health benefits has significantly elevated their status and there has been much research into their structure to help in the development of novel treatments. Carotenoids, such as carotene and lycopene, are powerful antioxidants that provide protection against the signs of aging and a range of chronic conditions by mopping up the free radicals produced as by-products of essential metabolic processes. The red adzuki bean is a legume commonly used an Asian cuisine, most notably as the key ingredient of red bean paste. The high protein and antioxidant content of the adzuki bean mean that is associated with several health benefits1,2, including slower aging, improved heart health, cancer prevention, cholesterol lowering, increased energy and increased muscle mass. For this reason, it is also included in various traditional Chinese herbal remedies. 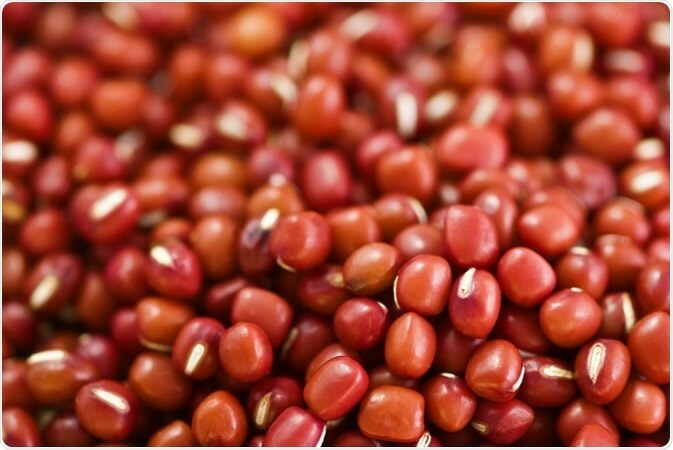 The red pigment giving the red adzuki bean its color include polyphenols, flavonol glycosides and catechins3. Key components are proanthocyanidins, oligomeric or polymeric phenolic compounds, which are thought to provide many of the properties advantageous to human health, ie, antioxidant, antimicrobial, hypolipidemic, and cardioprotective properties. Proanthocyanidins typically comprise flavan-3-ol units in a simple catechin polymer. However, it is thought that they may undergo several modifications and conversions during the ripening period to produce more irregularity. Since proanthocyanidins are chemically stable, it is unclear how the transformations during ripening may arise. One hypothesis to explain the conundrum is that proanthocyanidins contain chromophores that have yet to be identified. Researchers have recently conducted a full structural analysis of the pigments in adzuki bean seed coats to determine whether or not there are chromophores present in proanthocyanidins4. The methanol extract of the seed coats and the extraction residue were analysed by high-performance liquid chromatography–electron spray ionization mass spectrometry (HPLC-ESI-MS), and a number of new peaks were detected with NMR Spectroscopy, using the Bruker Biospin AVANCE III 600 spectrometer. The methanol extract was found to contain two types of polymeric red pigments. One was a simple proanthocyanidin, whereas the other was a complicated polyphenol produced by several modifications and conversions. Spectral data suggested that the chromophores of the two compounds differed in structure. The chemical structures of the three products of direct thiolysis indicated that the structure of adzuki bean pigments includes a glyoxylic acid-bridged catechin skeleton. The compound in which this structure was identified may represent the link to elucidating the mechanism of action of the proanthocyanidin transformation to achieve the color changes observed during ripening. 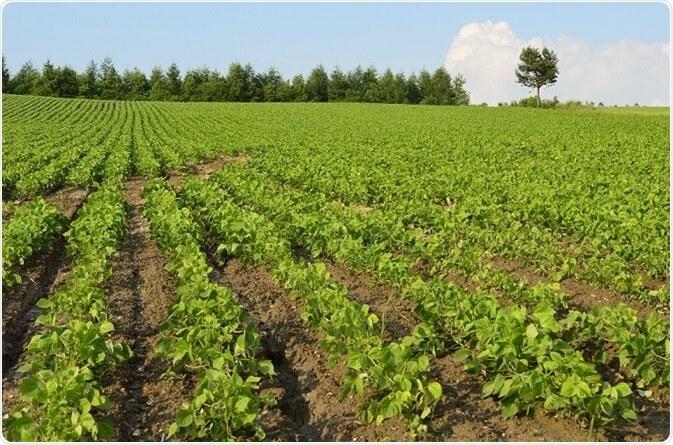 In addition, the compounds identified in this study may also be important bioactive components in adzuki beans, and justify further investigation to determine the structure–activity relationship. Liu H, et al. Polyphenols contents and antioxidant capacity of 68 Chinese herbals suitable for medical or food uses. Food Research International 2008;41:363–370. Maruyama C, et al. Azuki Bean Juice Lowers Serum Triglyceride Concentrations in Healthy Young Women. J Clin Biochem Nutr. 2008;43(1): 19–25. Hori Y, et al. Constituents and antioxidative activity of a hot-water extract of adzuki (Vigna angularis) beans. Journal of Japan Society of Nutrition and Food Science 2009;62:3–11.